Recently I was one of three judges for the BC Book Prizes dedicated to the Hubert Evans Non-Fiction Prize. It all began with the arrival of 66 books in mid December, 2011. The prizes were awarded tonight May 12. Make the calculations and you might figure out that I spent quite a few sleepless nights! What was really curious is that the other two judges did not want to discuss our choices (a short list of five books) and in spite of that the short list included three of my choice five. 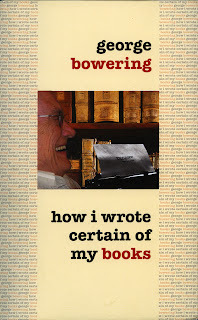 One of the books that did not make the short list, but was in mine originally is how I wrote certain of my books by George Bowering. It blew me away with a combination of humour and erudition. But what really amazed me the most was to find out that my image of a poet sitting down to write a poem was as far off from the mark judging by Bowering procedures. 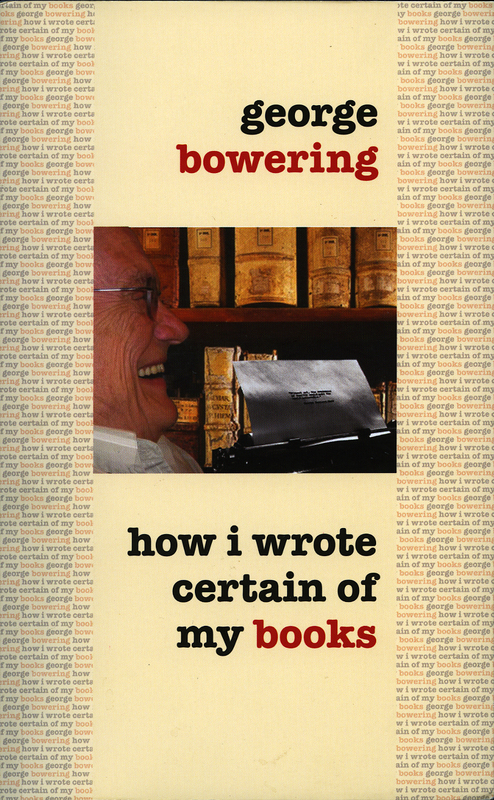 The book has 26 chapters in which Bowering explains what led him to write those 26 (books and individual poems). 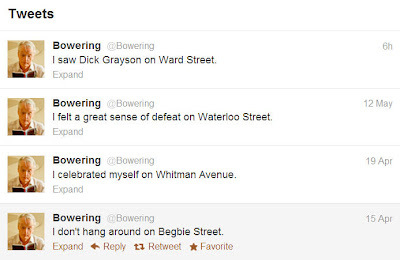 Bowering uses a strange technique, and variations of it, so as to be in a state of writing in which what he puts down on paper is a combination of random and a stream of conciousness to which he also imposes parameters. I had read Gertrude Stein’s (with Leon M. Solomons) Motor Automatism, a booklet published by the Phoenix Book Shop in 1969. It’s a record of experiments the two med students were conducting at Johns Hopkins University in the late 1890s. The two reports were originally published in Psychological Review. I did not duplicate their experiments, of course, mainly because I did not want to work on subjects aside from myself. I just read the reports and made up my own procedure. I had always been less than fervid about art stuff that had to do with the so-called unconscious or subconscious. So Surrealism and Dada and so on I gave passing notice. Chance operations I found a little more interesting. But over eleven months in 1973-74, I conducted a little experiment. 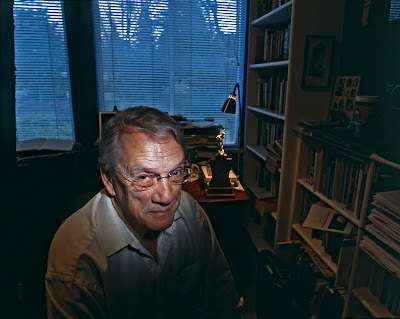 I don’t remember exactly what I did, but I do remember that it seemed important to carry out the activity in the same place every time, my writing room in our big old house in Kerrisdale. I sat facing north, with daylight coming into the room for the Larch Street (west) side. I kept one of the windows open a little. This room, I should say was over-filled with books, pictures, gewgaws, manuscripts, bicycles, hats, all the detritus that the muse has to tiptoe around. I kept the radio on, dialed to the CBC. I read a book while I was writing on pages that I did not look at. And I think that I spoke aloud or sang little airs. Sounds arrived from other rooms and from Larch, which was a semi-through street. Then after the near year had elapsed, I came to typing the results, and sometimes the efforts to make out my blind handwriting contributed to the last draft of the probable serial. 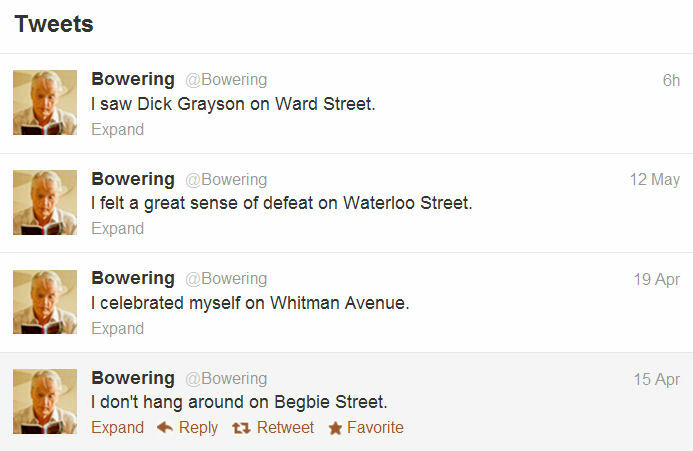 George Bowering is like a dolphin. He has that built-in smile and it is very difficult to take him seriously. After reading this book I feel ambivalent. I do not know what is true and what isn’t. But I can record here that how I wrote certain of my books is seriously funny.